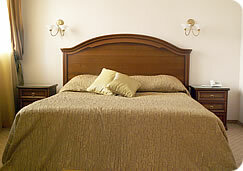 There are a lot of different hotels in Kazan city and I would like to name some of them. The prices are from November 2007 and in rubles (1 USD is about 23-24 Rub., 1 Euro is about 36-37 Rub.). Number of rooms: 109. The date of building: 2003. 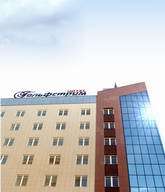 The address: Russia, Kazan, Moskovskaya Str., 1a. The contact phone: +7-843-278-05-05. The price for single starts at 6100 rub./day. Number of rooms: 200. The date of building: 2006. The address: Russia, Kazan, Nikolai Ershov Str., 1. The contact phone: +7-843-279-30-00. The price for single starts at 5600 rub./day. Number of rooms: 50. The date of building: 2000. The address: Russia, Kazan, Kremlin Str., 15. The contact phone: +7-843-292-69-34. The price for single starts at 3000 rub./day. Number of rooms: 91. The date of building: 2006. The address: Russia, Kazan, Petersburg Str., 55. The contact phone: +7-843-278-16-16. The price for single starts at 3000 rub./day. 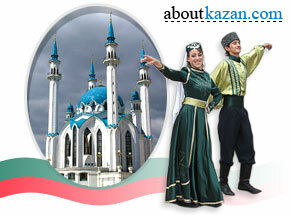 The address: Russia, Kazan, 2nd Azinskaya Str., 1G. The contact phone: +7-843-279-11-40; +7-843-279-11-41. The price for double starts at 2880 rub./day. Number of rooms: 123. The date of building: 2005. The address: Russia, Kazan, Universitetskaya Str., 7 / 80. The contact phone: +7-843-238-28-00; +7-843-231-10-06. The price for single starts at 2600 rub./day.